A pair of images posted to a Chinese blog on Saturday purportedly offer a first look at Apple's next-generation "iPhone X Plus" handset, a 6.5-inch device rumored to see release later this year. 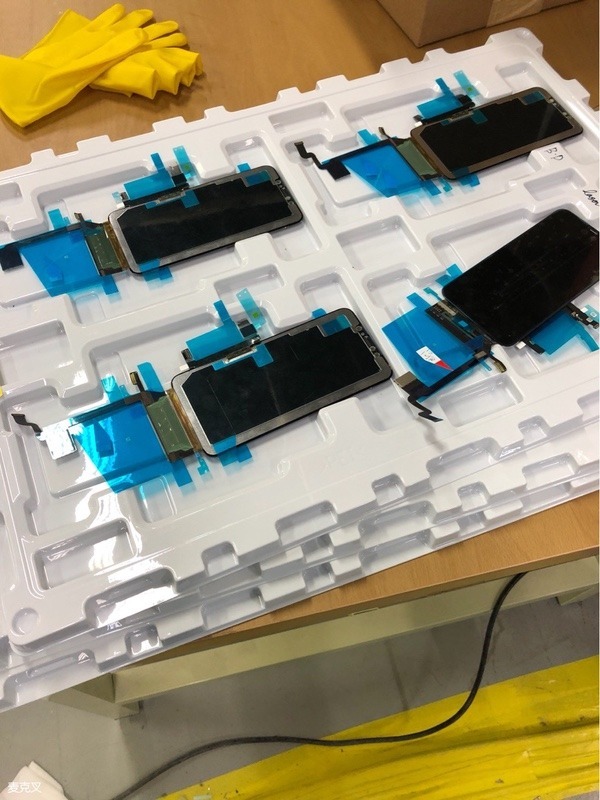 According to a MacX forum post, the images originate from LG Display's manufacturing facility in Vietnam, where the company is reportedly producing a trial run of "iPhone X Plus" screens for Apple. Rumors that LG would supply OLED panels for a future iPhone X model first surfaced last year. Most recently, reports in January said the Korean company inked a deal to provide 15 to 16 million 6.5-inch panels in the second half of 2018. As seen in the photos above and below, the parts bear hallmarks representative of Apple's new sensor "notch" design, which provides space at top of the display for the TrueDepth depth sensing camera array used for Face ID biometrics and advanced photo taking features. 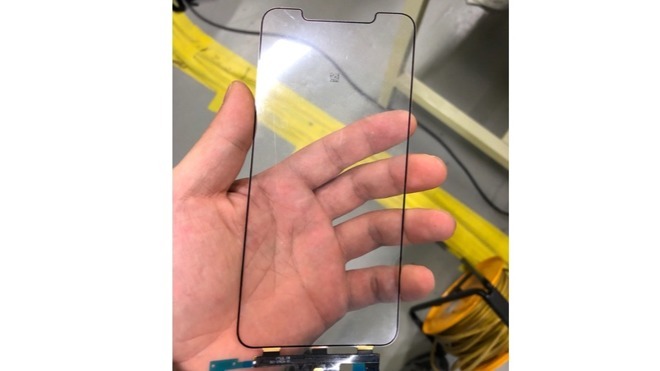 While the panel's dimensions are unknown, the glass looks to be significantly larger than current iPhone X hardware. In particular, the cutout appears to take up a smaller portion of the cover's footprint in comparison to Apple's existing flagship smartphone. A closer look at cabling attached to the cover glass reveals manufacturing indicia that appear to be in line with Apple's typical coding scheme. The numbers suggest the part was produced in November of 2017, the same month iPhone X went on sale. Not much can be made of the OLED panels assemblies, though the parts also include space for a TrueDepth sensor array. On the front is a lozenge-shaped cutout for the ear speaker, seemingly similar to a new, smaller design introduced with iPhone X.
Apple suppliers are known to produce parts, especially evaluation proofs, well ahead of a planned launch, so the parts could be legitimate. AppleInsider was unable to confirm the validity of the images. Rumblings of a 6.5-inch iPhone X model surfaced in September and were later echoed by KGI analyst Ming-Chi Kuo who in November predicted Apple to debut the jumbo-size handset alongside a second-generation 5.8-inch iPhone X and a 6.1-inch LCD model this year. Apple is rumored to adopt a number of cutting edge technologies for its 2018 iPhone lineup, including a new metal frame for faster wireless transfers, enhanced LTE modules with support for 4x4 MIMO, LCP circuit boards and more.